Many thanks to all the people who asked their questions so that I could elaborate this post. If you have more, please ask them in the comments. It’s first and foremost a place to have fun. 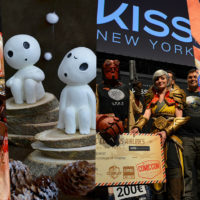 You can meet and connect with the other cosplayers, the staff and the judges. Backstages and changing rooms are great places to bond with new people who share the same interests. In Europe, we are more used to contests with a stage performance. Cosplayers prepare a soundtrack with a short skit that they will play in front of the audience and the judges. It’s a short scenery with dialogues, fight, vocals, dance, funny skits… it’s up to the cosplayer to choose his way to showcase his costume. Usually, once you are at the meeting point, someone will explain you how the contest will unfold (if not already be done by email, on the website or in the contest rules). You’ll have a new appointment time for the prejudging (there are prejudgings in most contests nowadays). Stage performance : Your time to shine as a cosplayer. A performance, a costume showcase, some lights and an epic soundtrack. Usually, you’ll find the judges sitting in front of the scene at a table, sometimes it’s even on the side of the stage (like at Comic Con Paris), or at the back of the stage, behind the cosplayer (like at C2E2). Deliberations : Duration of the deliberations may vary widely (between five minutes and a few hours), judges withdraw to discuss and choose which cosplayers should be awarded. 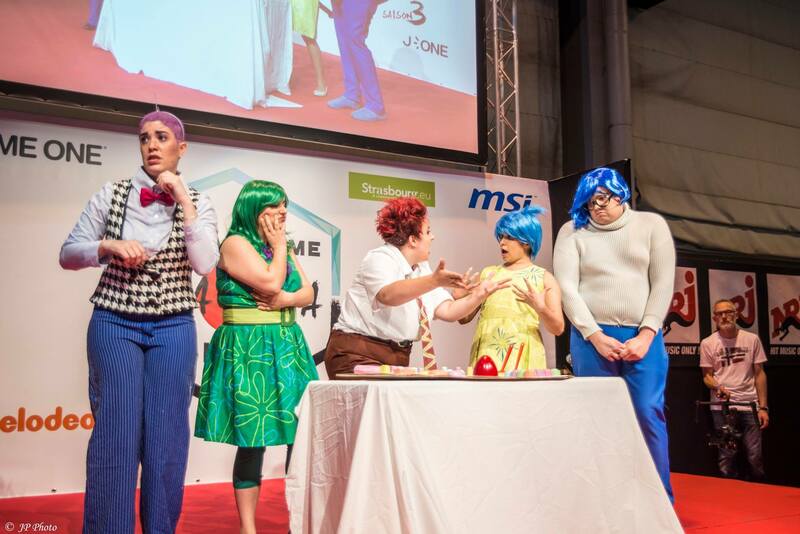 Winners announcement : It can take place hours after the cosplay contest, sometimes at the end of the day, on the stage’s last time slot. The host and the judges announce the different prizes and the winners of the contest. Each convention, each cosplay contest organizer and perhaps even each cosplay judge, will have his own scoring grid. In some conventions, costume and performance are judged as equal parts. In others, it’s more focused on the costume. A small example : in the ECG selections (Japan Expo), there is a 50% – 50% rate between costume and performance, and a rate of 90% for the costume and 10% for the performance in the French Championships of Cosplay (Comic Con Paris) ! Ranks are often 1st, 2nd and 3rd (with usually a solo and a group rating), but depending on the contests you can find “special prizes” or categories. 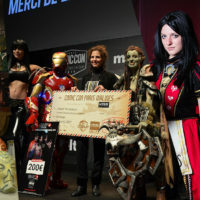 At Comic Con Paris, prizes are 1st place sewing category, 1st place armor category, 1st place FX category, and the Great Winner is selected among these three prizes. 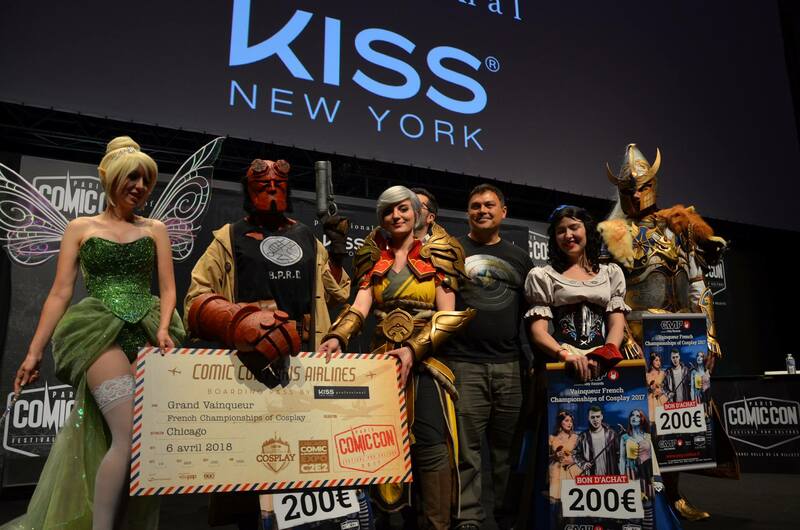 Comic Con Paris 2017 – From left to right : Tinkerbell / Riki Lecotey (judge), Hellboy Comics version / Arlek1 Workshop (Great Winner + FX winner), Monk / Black Owl Studio (judge), Chris Donio (judge), Snow White / Newbie Cosplay (Sewing winner), Aldarion Cosplay (Armor winner). 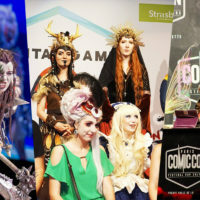 When we participated in the Fantasy Basel cosplay contest, there was a similar category system, but a bit wider : 2nd places with categories : armor, sewing, performance, etc., a 1st place Cosplay of the Day, and a 1st place Festival Winner (chosen between the three “Cosplay of the Day” winners). At the ECG french selection, there is a solo winner, a solo runner-up, a group winner and a group runner-up. 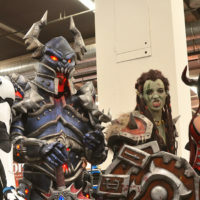 At Cosplay’in Wesserling, Geek Unchained or Necronomi’con, you also have an “Audience’s favorite” price (you can vote on a paper or directly at the contest booth). 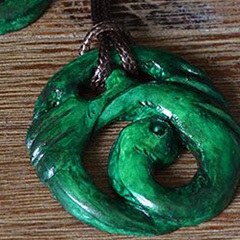 Handmade : each contest has its own policy about handmade. 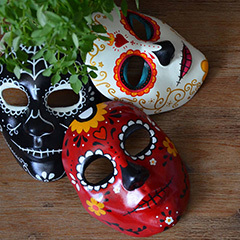 International and national contests usually ask for a costume at least 80% handmade. 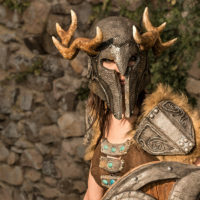 It is usually written in the contest rules, sometimes you only have this mention “The costume must be handmade”… But this doesn’t mean that you need to have a 100% handmade costume. Obviously we buy shoes most of the time, the same goes for tights. You can make a petticoat on your own, or you can buy one. The trick is to be honest and to tell the judges which parts were bought or handmade. Customization (shoe cover, refined clothes, dyeing, adding beads, fabrics, prop kits, etc.) 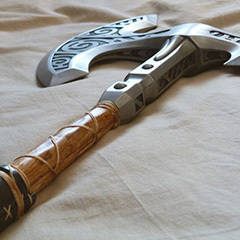 will count or not for a handmade piece according to the degree of modifications you have made to them. Skit or no skit ? That is the question ! Rules may vary from a contest to another, but it’s usually mentioned in the rules or the registration form. When it’s not demanded or optional, maybe you can have an ambient music to walk on stage. When you HAVE TO make a performance, you will have to provide a soundtrack (or a video, see below). Duration of the performance : Nowadays, in most contests, You’ll have a time limit for your skit. 1, 2, 3 minutes… Group skits are normally a bit longer than solo skits (1min30 for solos, 3min for groups for example). 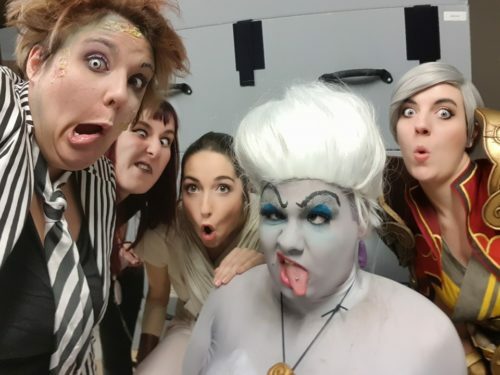 Costumes (from left to right) : Fear / Fenouil Cosplay, Disgust / Saru Cosplay, Anger / Eiryhan Créations, Joy / Firefly Cosplay et Sadness / Yoshii Cosplay (Vice Versa) – photo : JP Photo. Soundtrack / video : When you register for a cosplay contest, you will be informed about the way to provide your soundtrack (online form, email, on a USB key…). Some contests offer the possibility of sending a video, but be careful, it’s not always the case, so think about checking the rules or ask ! Small tips : Test your file on several players (VLC, Windows Media Player, iTunes, etc.) and use standard formats if possible (mp3 or wav for the audio, mp4, avi, mov… for video). 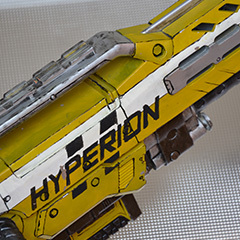 Props and weapons : Check the rules about weapons, replicas and props before you register in a contest (allowed materials, realistic replicas, uniforms, airsoft, etc.) Sometimes rules are the same for the contest and the convention, but you can also have special rules (more flexible) for contestants. You may have to go through a special queue when entering the con, or another access, may need to print a receipt or something else. Reference picture : In many contests, you will be asked to provide a reference picture, sometimes it’s required, sometimes optional. Usually it serves as a reference for judges, so that they can compare to the costume, sometimes it’s displayed on a screen when you go on stage. 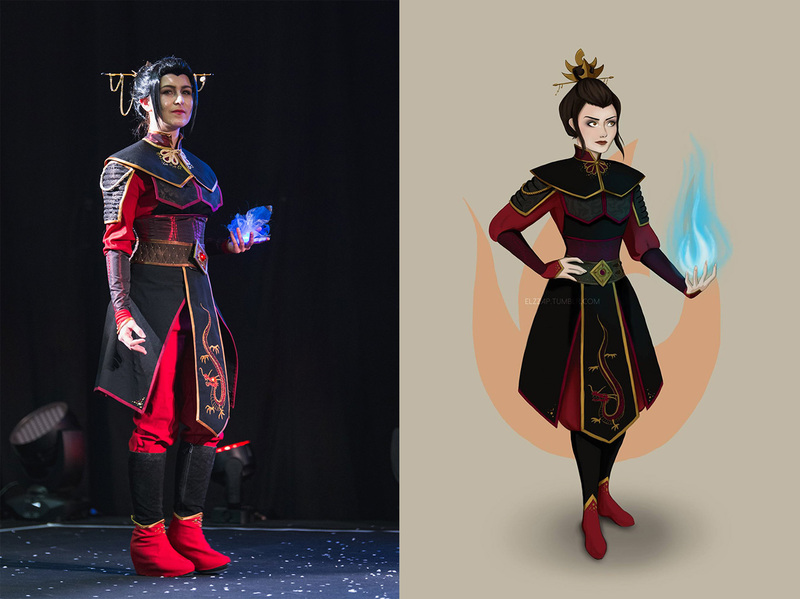 The reference picture has to be as close to the costume as possible, don’t take one with pieces that you didn’t make just because it’s prettier. Prefer full body pictures, and avoid portraits (that’s not really convenient to rate a costume when you only have a face as a reference). If possible, avoid fan arts (except if your costume is made from a fan art). Original creations, fan arts, genderbends, crossplays, gijinkas, steampunk, etc. Some contests do not allow fan arts or original creations (even if you made the drawing by yourself), the same goes for genderbends (female version of a male character, male version of a female character), but also for gijinkas (humanized version of a non-human character, often applied on pokemons, but also on robots or animals…) and steampunk (original creation or steampunk declined character). 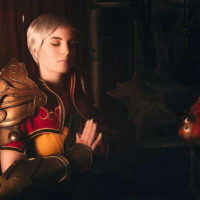 Usually there is no problem with crossplay (a girl who interprets a male character, a boy who interprets a female character), as there is normally no modification of the costume from its reference. If you have a doubt, ask the contest organizers. Stage props : Usually, you can bring stage props with you. There can be a limit for the number of props you can bring, their size or their weight… some conventions don’t have dedicated staff for this, and maybe you’ll have to install your props on stage by yourself. If it’s written in the contest rules that’s fine, if not just ask. Have fun ! 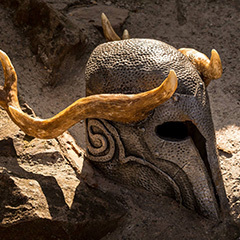 If you enter a contest only to win, first you might get disappointed if you don’t get a prize, and you may miss on having a great time with the other cosplayers. It’s good to be motivated by competition, but don’t get blinded by it, have fun above all. Get to the convention earlier than the indicated time : waiting lines, finding your way in the convention, locating the meeting point… all of these can take some time and will become really stressful if you are on a tight schedule! Get to know everything before you register : schedule, notation grid (rating percentages for the costume / skit), changing rooms (and opening hours), rules regarding weapons replicas, if you need to be dressed up for the first meeting, maximum duration for the skits, if you are allowed to bring stage props, soundtrack or video, how many persons are allowed if you compete as a group, judges nationalities (or at least which language they speak)… Every little information can be useful, and if you have any doubts, do not hesitate to ask questions. Choose your reference picture(s) wisely. Avoid unnecessary elements : if it’s possible, avoid pictures where you have additional elements or props that are not made on your costume (sword, helmet, collar, hat…), it can give the feeling that the costume is not finished. If there are several categories in which you can register, be sure to choose the right one. When the choices are solo or group it’s easy, but sometimes you have precise categories like : sewing, armor, make up, wig styling, etc. think about it first. Try to imagine which kind of cosplays could be contesting in these categories, and choose accordingly. Be on time (and dressed up)! Prejudging time is limited, judges need to see every cosplayer before they go on stage, so try to be there when it’s your turn. If you’re not, you could be penalized or even eliminated! You arrive in front of the judges, if you’re a bit nervous and you don’t know how to start, start with a simple and audible “hello”, usually that’s enough to start the conversation. If you’re a bit lost, don’t mind telling the judges, ask them what they want to know, and encourage them to ask questions. You could also avoid being lost by preparing in advance what you want to show to the judges. 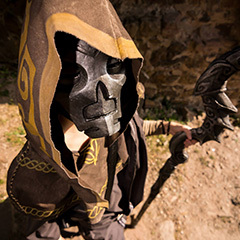 Do a list of the materials and techniques that you used on your costume. Prepare the answers to the questions that could be asked like : How much time did you spend on the costume? Which part was the hardest to craft? The one you prefer? The one you are the proudest? Which difficulties you encountered? Feel free to mention every notable point : it’s your first costume / contest / skit / armor / dress… if it’s made with recycled stuff, etc. All that is out of the ordinary. Show them you are unique ! The original touch : using wallpaper to add some texture to the armor. 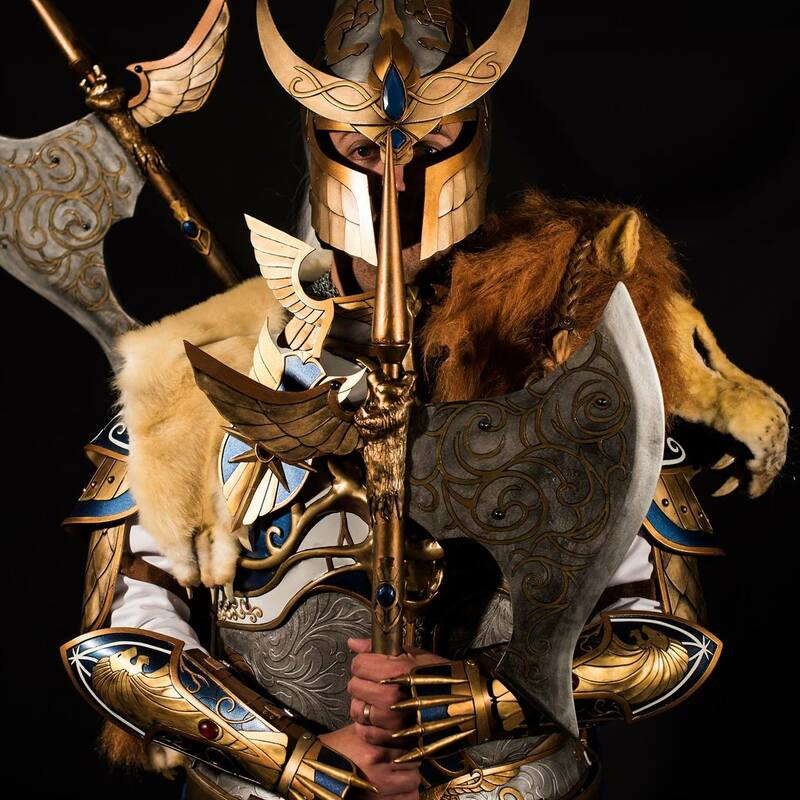 Costume : White Lion of Chrace (Warhammer) by Aldarion Cosplay – photo : Studio Galy – Garnier Charly. Don’t forget to mention every part of your costume that you bought or required external help. You won’t necessary be penalized if your grandmother helped you to sew a hem or if you bought your shoes… In any case, it’s better to be honest and rewarded for your own work than another’s. Try to order your points in your head, you can for example start from the top (wig, helmet…) and go down progressively to the bottom (shoes). Focus on the best parts of your costume, and go faster over the ones you like the least. Don’t bring yourself down! If you had to send a reference picture at your registration, it should normally have been provided to the judges in a folder, book or something like that. But you can bring it with you just in case. And if no reference pictures were asked, bring them with you anyway, it will give the judges an idea of what it should look like, they will be thankful for that. WIP (Work In Progress pictures) : You can have WIPs of your costume with you. It’s still quite uncommon to see some right now, but it can bring you some additional points if it’s correctly done. Be concise, prefer images over long texts, maybe write some interesting facts (time spent on your costume, materials listing…). Keep in mind that it’s your job to explain your costume, WIPs only serves as a support to your explanations. This can take several forms : on your phone / tablet PC (but beware not to waste time searching for your pictures), on paper (quicker, but pay attention to the printing quality, you do not need to buy it from a professional printer, just ensure it is readable). This brings me back to the english language… In many contests you just have a very limited time with the judges, if you’re not comfortable with english, don’t hesitate to be helped or translated ! It’s really brave if you want to explain by yourself with your own words, but it could penalize you if you take too much time. And confusing the judges with gibberish might not work well, especially if you’re talking about complex crafting situations. Once the prejudging is finished, you will always think about the things you forgot to mention… Note this for the next time and set it aside to enjoy the rest of your day. When deliberations are tough, the details often make the difference. 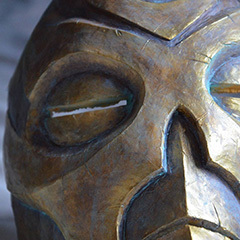 Leave no room for little mistakes : be mindful of visible staples on your props, too “flat” painting, Worbla that was not sanded enough, unclean hems, dresses that are not well ironed, orange thread that should be white according to the reference picture… everything matters! Consider the universe whose your character comes from, don’t hesitate adding details if it’s justified by his environment and serves the costume : blood splatters on an axe, damaged and weathered fabrics for a barbarian, post-apocalyptic rust, dry leaves in a wilding’s wig, adding an underskirt to hide a petticoat… sometimes some elements are supposed to float in the air, which is not possible. Feel free to place decorative clasps or buttons according to the character design. Add what you want, within reason (don’t change too much things from the original reference), but, above all, please state every modification during prejudging. This could seem obvious but… try your costume before the contest. Be sure you can move properly. Even better, rehearse your performance while wearing your costume. We often say to focus on the originality (that’s right, don’t do as everyone does), but you should also be careful about the comprehension of your skit. 1st example : a japanese skit with no captions. Anyone who knows the anime/manga may not be bothered, but there is a chance that a newbie would get bored. 2nd example : Private jokes – if you do an humorous skit, try to make it understandable for the largest part of the audience and not just the ones who saw the movie, or played the game it comes from. Except if it’s a reaaaaaaally well known license (#iamyourfather). Watch other contests, search for inspirations, but do not copy ! If the judge panel is english-speaking, you can dub the skit in english, but make sure the audience will understand too. If possible, add subtitles on a video, it’s even better. Beware of subtitles (lol)… People tend to read instead of looking at you, so if you’re using captions, be careful to make them short. If there are dialogues or singing in your skit, train yourself to dub over it. You can listen to it on repeat so that you get used to the rhythm and know it by heart. If you use parts of soundtracks (movie, cartoon, videogame…), be careful on the transitions and avoid the “chopped” effect. If you record a voice, take great care in your recording quality. You may write a great story but it will be useless if no one understands it. The answer is YES. Do not force yourself to hold the whole time specified in the rules if it’s just for filler. Better keep it shorter and effective than long and tedious. Ask the judges for feedback. In most cases, judges will be happy to talk, encourage and advise you. Whether you win or not, be proud of yourself. 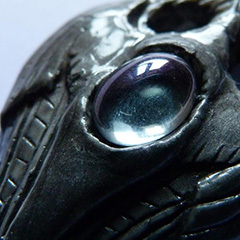 How is 3D printing perceived ? 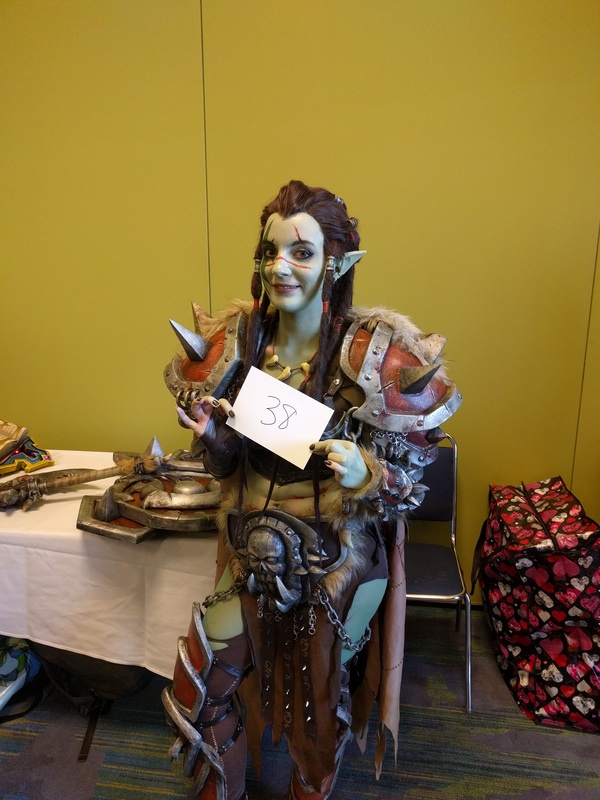 Well yes… you often find advice for cosplay attendees, but more rarely for judges ! It is therefore an exercise that can be difficult if you have never done it before. Try to maintain homogeneity between contestants, ask them similar questions each time. Look at every piece of the costume, don’t forget the back, armor pieces hidden by a cloak, petticoats, etc. free grid (blank space, no criteria) – In these cases, I usually make my own grid (for example : costume quality, techniques & materials, skit originality, comprehension… + bonus points if there are some particular elements). Don’t follow the rating grid 😀 : use it as a guide, a reminder. Your way of rating will change as you will see more and more contestants, it is therefore a bit tricky to do an objective ranking as it evolves. You can re-balance the first contestants scores (now that you have a benchmark), but trust your feelings, it’s impossible to map all criterias in a grid, look at the ones mentioned and add yours. When deliberating, it’s rare that the final ranking is simply made by the sum of points in the grids, it’s more like a debate between the judges in order to find a result that suits everyone (or at least the majority). Don’t forget to ask which prizes are awarded before prejudging. If you have a sewing prize, an armor prize, a performance prize, etc. 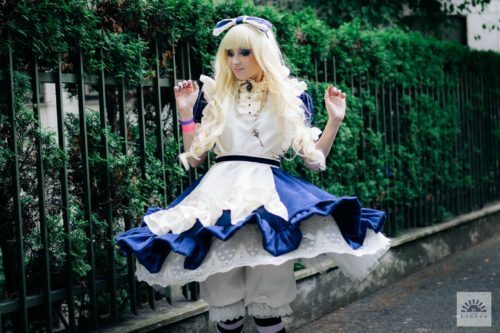 maybe you will ask different questions than if it was 1st, 2nd, 3rd… Likewise, it can happen that there are “favorites” prizes for those who are out of the box, or “espoir” prizes to encourage young talents… Keep the ranking and categories in mind when you see each cosplayer, and even more when you deliberate. 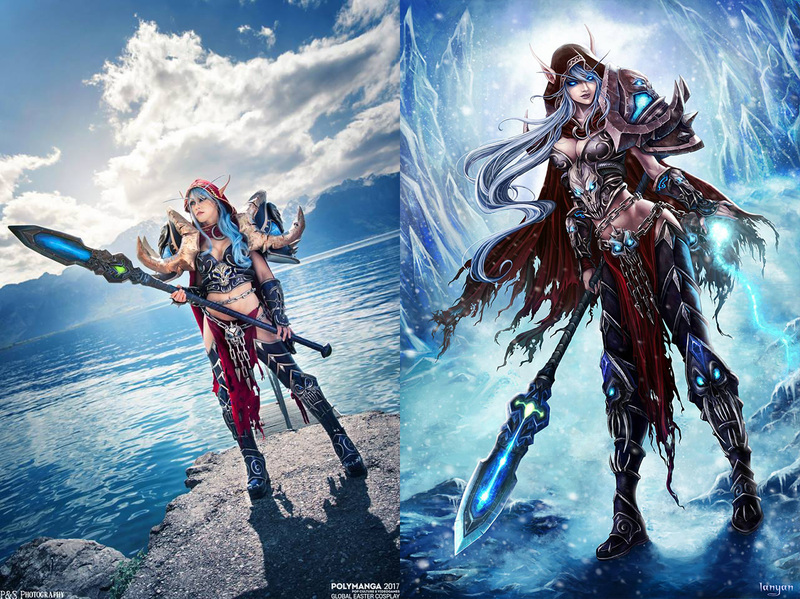 It’s often easy to make your own mind and your own ranking when watching a cosplay contest. Sometimes results don’t match what you thought. Before you stir up scandal and accuse judges of corruption (everyone knows we can be bribed with cookies), keep in mind that judges spent several hours looking at each costume during prejudging. Sometimes, a discreet costume will have more details and be more complete than a bigger one that will look great from where you are seated. If you liked a costume and are disappointed about the results, go and have a nice word to the cosplayer you liked most, follow his page and show him support (without bashing the others, who also worked hard), this will be a nice reward too. 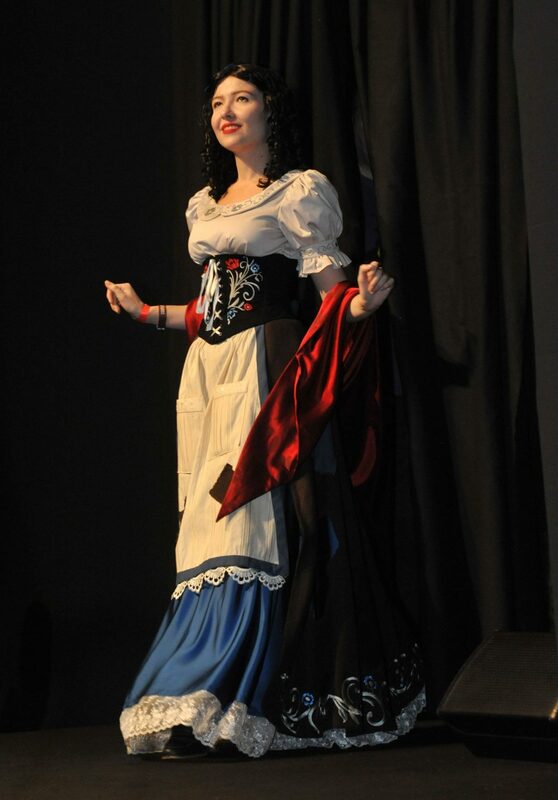 A good example of a costume that hides many details until you look closely : embroideries, choice of the fabrics… Snow-White by Newbie Cosplay – Photo : Comic Con Paris. I hope this post will help you. 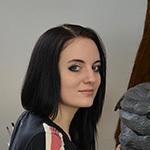 If you have other questions, or want to share your own experiences, please leave a comment !